I’ve had this dream of doing a full academic etymological study of oranges, with the help of a second-cousin-by-marriage linguist and her historian husband. Being honest with myself, I know that’ll never happen. And also, honestly, they’d have to do all the work anyway. But, the Garden Professor’s Facebook post about the citrus family tree revived my interest. Not for a full-blown academic analysis of the word ‘orange,’ but for a blog-friendly, factual, interesting post. So I got my linguist cousin Ulrike Carlson to edit for accuracy too. The name given to the orange by Linnaeus was Citrus aurantium, and the only other citrus species he noted in his first volume of Species Plantarum was Citrus medica. The current taxonomy of citron is Citrus medica L., and bitter orange (or Seville orange, used for marmalade and Belgian beer) is Citrus aurantium L. According to Linnaeus, sweet orange and pomelo were separate varieties of C. aurantium (var. sinensis and var. grandis, respectively). For a pretty image of the family tree, see the National Geographic article here. Basically, it is now known that all common citrus fruits are hybrids derived from citron, mandarin, pomelo, and papeda. The current taxonomy for sweet orange, Citrus sinensis (L.) Osbeck, clearly defines the fruit’s Eastern origin (sinensis comes from Latin for ‘Chinese’) and altered nomenclature (Osbeck refined Linnaeus’ original taxonomy). But the name given to bitter orange, C. aurantium, points to its South Asian origin, and here’s why. The Tamil (south India) word for orange transliterates to ārañcu; Sanskrit words look similar; the Persian nārang is derived from there. 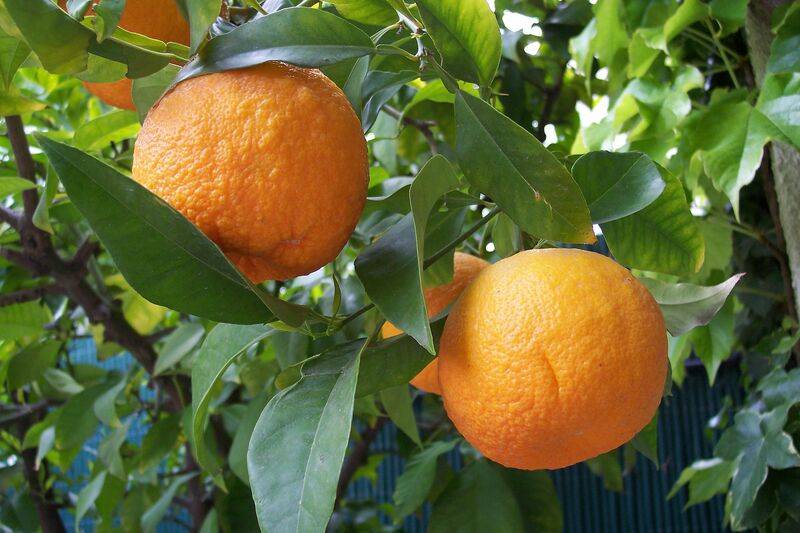 As the bitter and sweet orange hybrids were likely made somewhere between Northern India and Southern China, it would be expected that the European names for these fruits come from these or nearby areas too. The origin of Linnaeus’ aurantium are obvious. Aurantium is Latin for the orange tree, and aurancia is the fruit. If you say these words aloud, they all sound similar to each other, to nārang, and to the English orange. But here’s where it gets more interesting, with a preface: the word apple has historically been used to describe any fruit that’s not a small berry. Also, bitter oranges were common in Europe before sweet oranges. 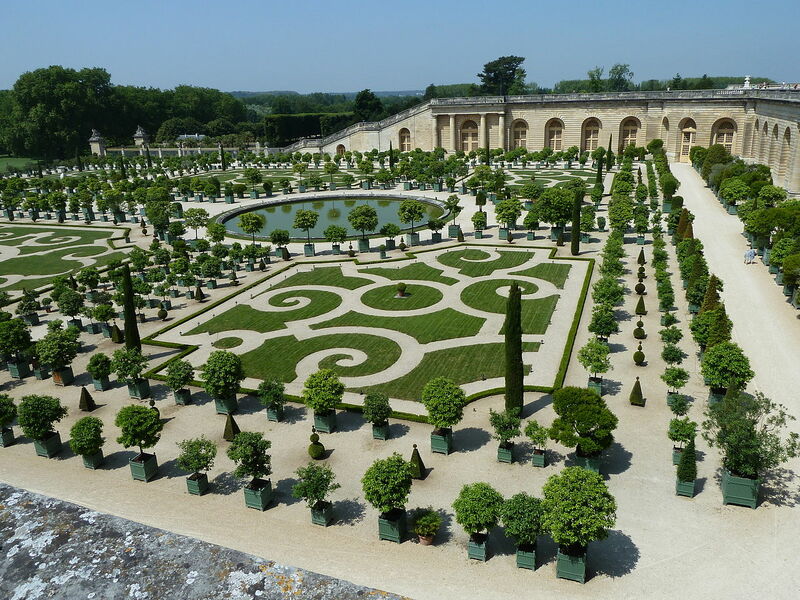 In fact, when sweet oranges came on the scene in the 17th century, wealthy people built greenhouses or gardens (“orangeries”) specifically for the new, more delicious versions of the fruit. My first time in the Netherlands, I noticed orange juice is called sinaasapelsap. I don’t know Dutch really, but…doesn’t that mean ‘Chinese apple juice?’ Sinaas: Chinese (sinensis); apel: apple; sap: …sap (juice)? I knew in French that it’s jus d’orange (juice of the orange), and I knew ‘orange’ in Spanish is naranja (looks & sounds a lot like orange and narang). Why would the Dutch call it Chinese apple juice? Fast forward a couple years, I’m in Denmark, and what do I see? Appelsinsaft. CHINESE APPLE JUICE…English, Dutch, Danish, they’re all Germanic languages. Shouldn’t the Germanic languages call it orange juice, like I do? Then it hits me. English is the odd duck here. 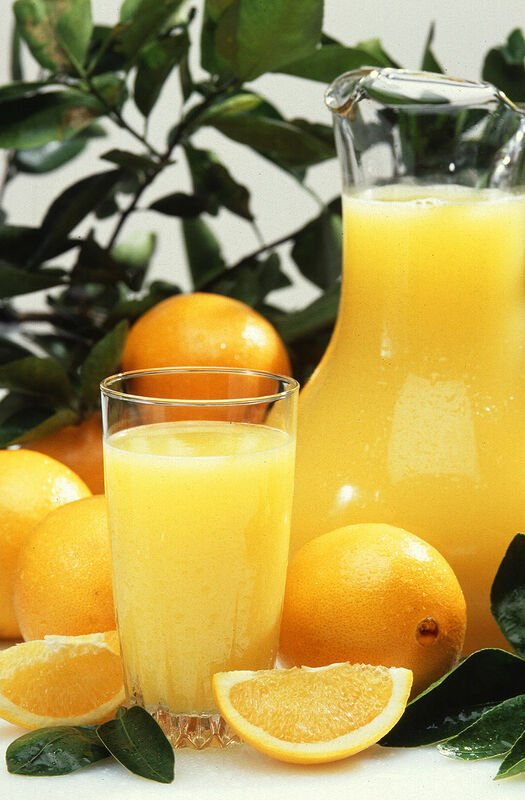 The Germanic languages call orange juice ‘Chinese apple juice’. This reflects the name Linnaeus gave the sweet orange (var. sinensis, or ‘Chinese’). Best I can tell, among Germanic languages, only English, Afrikaans, and Scots gets their word for the sweet orange from the older word for the bitter orange, nārang. That’s not the last word on the subject though. You can go to Italy for sweet oranges and get arance, the Czech Republic and get pomeranče (apple-orange), Ireland and get oráistí, Bulgaria and get oranzhev, or Portugal and get laranjas (aka, oranges). All words that come from nārang or aurancia. You can go to Estonia, Finland, Sweden, Norway, and Germany and get some kind of Chinese apples (aka, oranges). But even as most Italians eat arance, you’d instead ask for a partuallu in Sicily. Or you’d eat a portokáli in Greece, portokall in Albania, etc. The Portuguese, with their awesome shipping routes, imported sweet oranges from China, then grew and distributed them through Europe in the 17th century. They were a big improvement over the bitter orange (which would you rather have, marmalade from a bitter orange, or a juicy sweet orange?). So some countries called the sweet orange by the name of the proximal country they were shipped from, Portugal. Bitter oranges (AKA Seville oranges, named from where they were grown) are called pomerans (from apple-orange) in Swedish, Pomeranzen or Bitterorangen in German, pomeransen in Dutch…so it seems that when sweet oranges came to Germanic-speaking countries, the languages kept the word they’d been using for the bitter orange (calling it an orange-apple or bitter orange), and added a different word for the sweet orange, calling it a Chinese apple. This is all complicated because political boundaries have changed a lot in Europe, and languages borrow from each other. So northern Germans might still eat Chinese apples, but southern Germans might eat oranges. Also, if you’re interested and you’ve made it this far, the color orange is so named because that’s the color of the fruit. It’s not the other way around. It’s a pretty recent color descriptor. That’s why robins, with their orange breasts, are called robin red-breast. There was no word for the color orange when the robin was first described. Also of great interest is the House of Orange. If you’ve seen a Dutch soccer game, or been to the Netherlands, you’ll know they like the color orange. William I of Orange, basically the founder of the Netherlands, came from a principality called ‘Orange’, now in France, and the Dutch celebrate their royal family with the color of its namesake. BUT, Orange, France was named, a couple thousand years ago (before the fruit came to Europe), after a Celtic water god, Arausio. At the time, this had nothing to do with the fruit or the color. 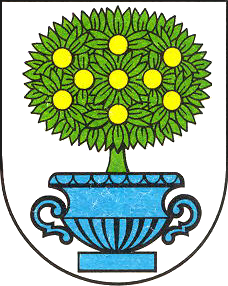 HOWEVER, since the middle ages, the crest of the French city shows orange fruit on a branch, and the crest for the German city of Oranienbaum (orange tree) has, you guessed it, an orange tree. According to Wikipedia, Oranienbaum was named after the Dutch House of Orange. For more about how these languages are related, here’s a ‘simple’ chart. Apple trees that are not pruned for several years will often produce so many branches that very little energy is left for fruit production. Overgrown apple trees are also difficult to harvest and spray. Gardeners who have such a tree are often at a loss as to how to get it back in shape. Remove all dead wood. This does not count toward the 30 percent. Remove suckers from the base of the tree. Choose approximately six of the best branches to keep as scaffold branches. Remove all others. Branches should be cut flush to the branch collar. The collar is that natural swelling that occurs where a branch connects to the trunk or to a larger branch. Removing the collar would leave a larger wound that would take additional time to heal. Do not paint wounds. Research has shown that wounds heal more quickly if left open. Candidates for removal include branches with narrow crotch angles, which are more likely to break in wind and ice storms, and those that cross branches you will save. This may be all that is possible the first year if the 30 percent threshold has been reached. Thin the branches on each scaffold branch. Remove crowded branches to open up the tree to light and allow humidity to escape. Shorten each scaffold branch by cutting back to a side branch. When you are through, the tree should have enough wood removed so that a softball can be thrown through the tree. 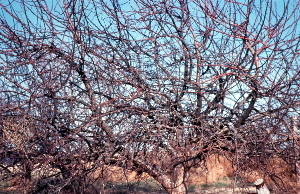 Severe pruning often will cause an apple to tree to produce vigorous side shoots from the trunk, called water sprouts. Main branches will also produce suckers that grow straight up. The suckers and water sprouts should be removed throughout the growing season so the center of the tree stays open. In the case where a tree cannot be saved but you would like to preserve the apple tree variety, consider grafting. Scions taken from the old tree can be grafted onto a new rootstock to form a new tree. If you are not able to do so yourself, contact a local fruit tree nursery to find someone who may be able to help. A week or so ago a reader asked about the practice of planting three or four fruit trees in the same hole. Having not heard of this before, I checked on the web and found many “how to” pages geared to home gardeners who either want a longer harvest of a particular fruit (early to late) or a mixture of different species. Doesn’t it sound just great, especially for smaller urban yards? Now, I’m sorry, but this is just asking for trouble down the road. Readers of this blog know that root systems extend far past the drip line, and that roots from different trees are going to compete with one another. You’ll end up with three unhappy trees, all jostling for space and resources, just like kids in the back seat during those long car rides. But wait! you might say. There’s research on high density tree planting, and it’s been shown to increase fruit yield on a per acre basis! Yes, in fact there is a lot of planting density research on many different species of fruit trees. What’s considered by researchers to be “high density” varies, but it rarely exceeds 2698 trees/acre (6666/ha for our international readers). Optimal and sustainable levels of high density planting are also variable, as they depend on not only species but rootstock and the crown architecture; 1214/acre (3000/ha) might be a mid-range number. This can be converted to a per-tree requirement of 36 sq. ft. or a 6’x6’ planting area. You don’t have to be a math whiz to see that these densities are totally out of line with reality. Sure, you can probably keep overcrowded trees alive with lots of water and fertilizer, but they’ll be under enough chronic stress so that pests and disease might take hold, and fruit production will likely be poor. And it’s about as far from a sustainable practice as you can get. What Do Pork Products and Fruit Trees Have in Common? This is one of those “random thoughts” posts…no professorial musings, plant geek gushings, or interpretations of useful research. And absolutely, positively, in no way, expressed or implied, intended to provoke a veg/carnivore controversy nor promote any particular product. Just a simple question that occurred to me in the grocery store. Google “apple wood smoked bacon” and get 689,000 results. Apple wood also frequently appears as “applewood”, orthographical conventions aside. We’ll just refer to it as AWSB for the duration of this post. Wendy’s is promoting their burger with AWSB all over the place. Kraft’s Oscar Mayer division recently released a new AWSB product nation-wide (according to the blog www.mrbaconpants.com) What used to be available only through specialty meat companies and at high-end grocery stores is now available everywhere. Back to my question. That’s a lot of bacon to smoke. Apples used to be an important part of the mid-Atlantic and Northeastern commodity mix. Arkansas had its own “Apple Belt”. These markets have experienced a fairly dramatic decline; much of U.S. production has shifted to Washington state. So are some of these out-of-production orchards the source of all this wood? I may ask this question of some apple experts I know. Linda, I bet you’re up to your pits in pomologists at Washington State – see what they say (and I apologize in advance for the looks you’re going to get). Also – how much apple wood has to be used in the process to officially, legally, be considered AWSB? May have to pester a food scientist. Posted on February 16, 2010 Author Holly ScogginsCategories DiversionsTags fruit trees10 Comments on What Do Pork Products and Fruit Trees Have in Common? One of my favorite garden “cures” is placing a clear plastic sandwich bag around apples when they are young to protect them from insects and disease. It usually works great and impresses the heck out of people who see and eat the apples which are normally tough to grow without using bunches of organic or synthetic pesticides. Unfortunately this year was different. Rebecca Koetter, the person who planted these trees and put the bags on the apples (on the University of Minnesota campus) discovered that birds may choose to ignore the bags. And, as if that wasn’t bad enough, Asian lady beetles decided to get in on the fun!